The Federal Government has again dedicated to boosting employment creation opportunities through the foundation of technology centers across the nation. Conversation in a phone interview with The Guardian, the Minister of Communications, Adebayo Shittu, said government is investigating every single accessible road to make a huge number of employment through technology hubs. In reality, today, consideration, effectiveness, advancement are the principle instruments spreading improvement gain from computerized advances, and the innovation centers and hatchery elements, over a wide range, expect to amplify each of the three in various ways. This makes the establishments of technology hubs basic for any ground breaking economy. Shittu educated that while government is building private hubs where there will be free Wi-Fi connections, various technology center points will likewise be coming up this year. "We are as of now chipping away at the modalities to complete things fittingly in that respects. There will be incredible development in the ICT area, and in an additional six months, we ought to see the outcomes." Vice President, Prof. Yemi Osinbajo, had informed of plans by the Federal Government to establish innovation hubs across the country, with two ‘super’ hubs in Lagos and Abuja, and six regional technology hubs in the six geo-political zones. “Technology is certainly the key in turning the economy around, we need to invest significantly and improve our funding in technology and technology related industry,” Osinbajo affirmed. The establishment of the hubs, according to The Guardian investigations would be in partnership with several major technology companies, whereby the hubs will be fully resourced with infrastructure and capacity building tools. Furthermore, each hub will be designed to produce relevant innovative technology solutions to a wide range of business, commercial and government problems. Already, The Guardian gathered that there are 310 active technology hubs across Africa, with Nigeria having the third largest with 23 after South Africa and Kenya, with 51 and 26 hubs respectively. The springing up of technology hubs in the region has been hinged on the growth of mobile, which has emerged as the platform of choice for creating, distributing and consuming innovative digital solutions and services. Some of the already existing hubs in the country include Co-Creation Hub; iDEA; Technology Incubation Centre; Delta State Innovation Hub; Focus Hub; Engine Incubator; Calabar Technology Incubation, and a host of others. The Global System for Mobile telecommunications Association (GSMA) said the technology hubs springing up across Africa represented a key source of locally developed applications, stressing that of the 310 active tech hubs across the region, 180 are accelerators/incubators. 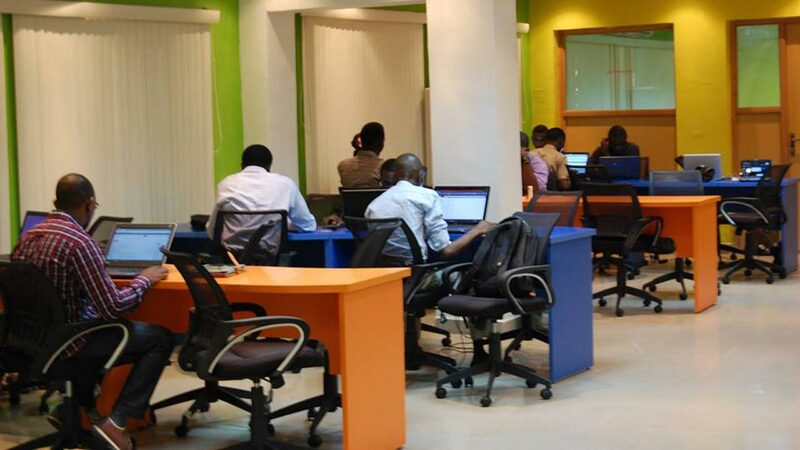 The body, which listed top three countries in terms of tech hubs in the region to include South Africa, Kenya and Nigeria, said last year, application accelerator company, Neumob, launched points of presence in Kenya, Nigeria and South Africa, to enable local app developers to improve the performance, security and user experience of their applications. GSMA informed that the tech start-up investment ecosystem in Africa is increasingly active, with the range of tech start-ups funded and size of deals reflecting the accelerating development of the ecosystem. In 2015, it said 125 African tech start-ups raised approximately $185 million, with Kenya, Nigeria and South Africa receiving more than 80 per cent of the funding.